darkSpyro - Spyro and Skylanders Forum - Spyro the Dragon - What is this? 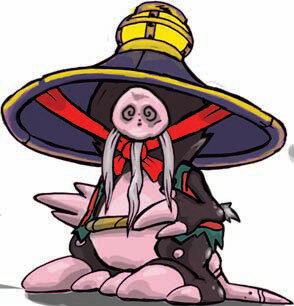 darkSpyro - Spyro and Skylanders Forum > Spyro the Dragon > What is this? I found this cover art on the web that I have never seen before in my life... I wondered if this was some really rare scrapped art for the cover or a different country version because I have only seen the covers for the US, UK, and Japan versions. Does anyone know which version has this cover? Since there's no title, I'm gonna assume it's either an early idea for cover art or just a fan made cover. Also, can anyone make out what that logo on the bottom left side is supposed to be? I think it's official, not fanmade, because from all the places I looked, it keeps mentioning it as cover art. My guess is that it is an official very early design of the cover art. Personally I think it looks fanmade. It only shows up on one site that lists it as cover art several times, and all other sites seem to have just pulled it from there. It's starting to look like it's an accepted official piece, though. Well, it's a better piece than the other THOUSANDS of pieces that are out there right now. I think this is a fanmade mash up of a screenshot/art from one of the GBA games with the Playstation logos slapped on. Nothing professional would have that little alien logo on it, which is most likely a fan's ID. 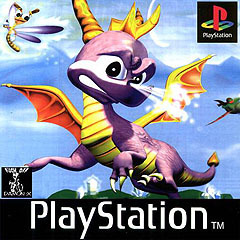 It's art from the first Spyro game, I have a walkthrough for it, and it has this image on one of the pages of the book. It's not the offical Spyro walkthrough, but it's from a PlayStation magazine. Do you know how official this art is (like, who made it)? Because I've got all the strategy guides and multiple copies of the game discs proper (with manuals included) and I don't ever remember seeing this on or in anything that was official (though I could have forgotten it). It doesn't look like anything Insomniac styled, for sure. I don't know who made it, and it seems to be official and Insomniac styled to me. I remember seeing it somewhere too. There's a lot of Spyro artwork/renders which interestingly only seem to appear in magazines. The same has happened with another game I love, where some artwork can only be found inside a random magazine promoting the game. Now that I think of it, it might be fan made, because someone could have taken the image from the magazine and made a cover out of it, but I still think it is official. Given that it's only ever been in the one magazine, it's probably artwork commissioned for that magazine only and not affiliated with any of the companies that made the games proper.